In Paris, the iconic pyramid that serves as the main entrance to the Musée du Louvre seems to have temporarily disappeared. 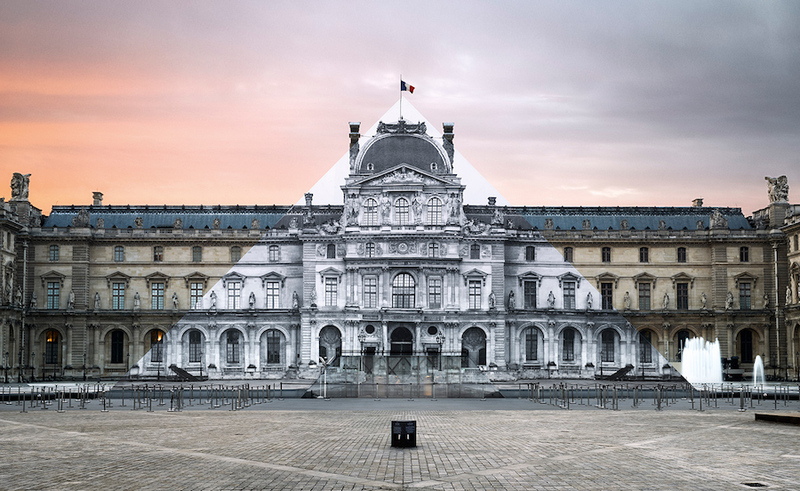 The illusion is the result of an anamorphic installation by the street artist JR. 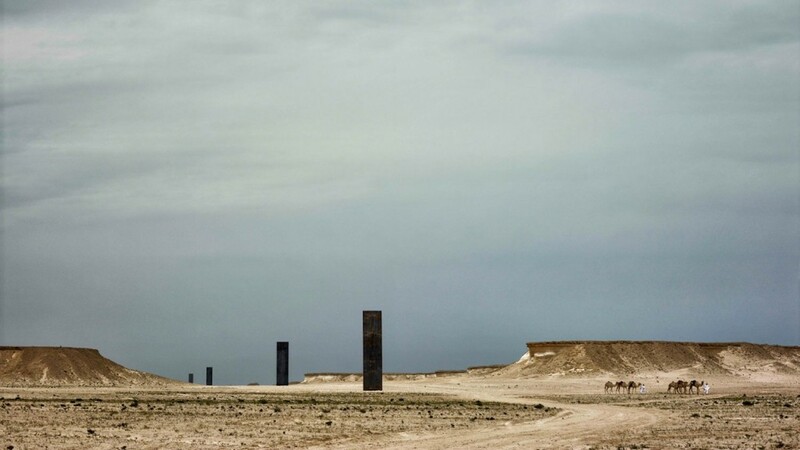 This spring, coinciding with his first major exhibition in the Middle East, American sculptor Richard Serra launched a public art commission in Qatar entitled East-West/West-East. Serra’s large-scale assemblies of sheet metal are famously minimal and massive, and this site-specific work in Qatar is absolutely monolithic.